Turntables, do you even know what they are? If you asked a room of teenagers what they were a decade ago, chances are pretty good a lot of them would be scratching their heads with no idea. What people in the music world thought was an extinct piece of equipment for playing vinyl records has recently been making a comeback. Finding a gift for someone can be difficult. If you know that person likes music, what could be a cooler and more interesting gift than a vinyl record of their favorite band or musician? Vinyl albums are cool even if you don’t have the means to play them. You want to know why? They look great sitting on a shelf or hanging on a wall! Buying a vinyl album used to be easy. You could go in any music store and they were loaded with them. Today, it is a little difficult to just buy an album – unless you know where an actual album boutique is. What you are buying the album for matters. The first thing you need to do is figure out why you are buying the album in the first place. There are some people who just want the vinyl album for the album art. This means they really don’t care what condition the record is in. In some cases, they could care less if there even is a record. After all – some people who collect these albums don’t have a record player. What they want is the album art to hang on their wall or to put in a picture frame. If you are shopping for someone who wants the record as a piece of art, you are shopping for something completely different than a person who actually wants to listen to the record. When you are shopping for someone who wants to listen to the actual record, it is going to be a little more complicated. This is especially true if you are shopping for an older album. Chances are they are going to need a good record cleaner. You need a record that is in decent condition, so it will play without skipping. There really isn’t a way to tell whether buying for the art or buying for the record makes the album more expensive. There are some collectors who will spend tons of money on an album cover in perfect condition for the artwork and other people who spend a lot of money on a record that plays without skipping. Decide what the album is being used for, that will make your shopping experience easier. Photo By ProtoplasmaKid. Turntables, do you even know what they are? If you asked a room of teenagers what they were a decade ago, chances are pretty good a lot of them would be scratching their heads with no idea. 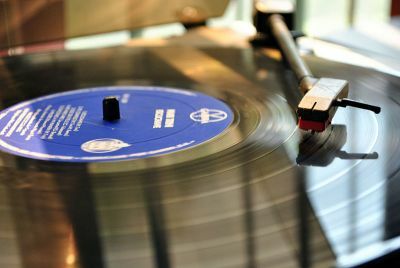 What people in the music world thought was an extinct piece of equipment for playing vinyl records has recently been making a comeback.